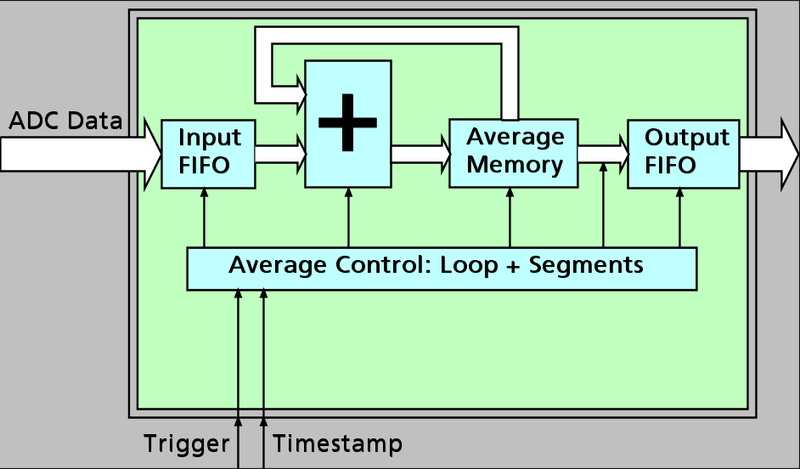 The complete averaging process is done inside the FPGA of the digitizer generating no CPU load at all. The amount of data is greatly decreased as well as the needed transfer bandwidth is heavily reduced. The signal processing firmware also includes the standard firmware that allows normal digitizer operation with no limitations. The right side screenshot shows the improvement of a signal that is completely overlayed by a random noise when using different averaging factors. While the source signal is not even visible in the original single-shot signal a 10 times average of the signal already shows that there is a signal with 5 peaks. Doing a block average of 1000 times improves the signal quality extremely showing us the real shape of the signal including all secondary maximum and minimum peaks. 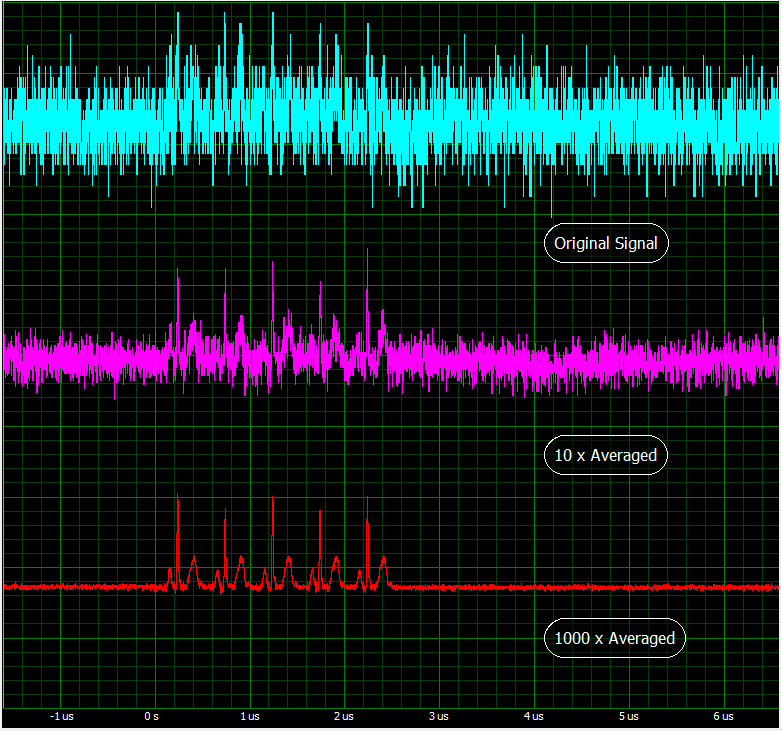 The example was taken with 500 MS/s (2 ns) timescale and 14 bit ADC resolution having a signal level of about 2 mV.